Revani is a traditional semolina sweet cake. 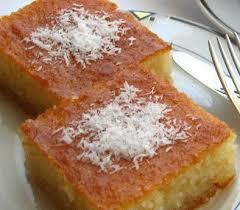 It is made of cooked semolina or farina soaked in simple syrup. Coconut is a popular addition. The syrup may also optionally contain orange flower water or rose water. 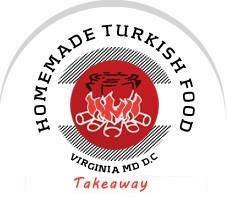 Other than Somalia and neighboring counties, it is also eaten in the former countries of the Ottoman Empire. Revani is a classic dessert that has been present in Turkish cuisine since the Ottoman period. Revani is one of the most common desserts in Turkish cuisine that’s served at home, meeting, parties, etc. It’s a simple dessert made with a single layer of soft, yellow, semolina sponge cake steeped in lots of light syrup. Click for Traditional Turkish Dessert Revani Recipe (Sweet Semolina Cake) at home.